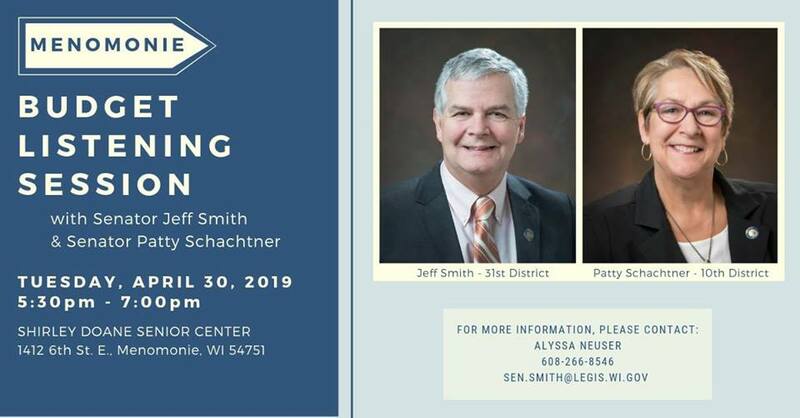 Senator Jeff Smith and Senator Patty Schachtner want to hear from you! Join them at the Menomonie Budget Listening Session at the Shirley Doane Senior Center (1412 6th St E, Menomonie). Come learn about Governor Tony Evers’ budget, ask questions, and share your thoughts on water quality with your elected officials.